The whole thing feels a bit more full-featured than the cutdown version of the 1975 pitch reel that Henson did for CBS which you can find on the Season 1 DVD set of The Muppet Show. There had previously been a trailer of the new series which was, itself, just a cutdown of the new pitch reel. If that’s not enough Muppet goodness for one week, you could always check out this mashup of Miss Piggy & Rihanna. It’s a little NSFW but probably worth it. No word if Piggy will be out on tour with Rihanna, but The Muppets (the muppets.) 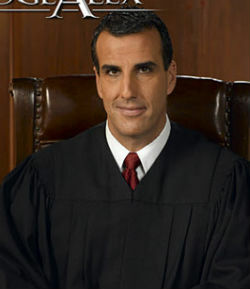 will be on ABC on Tuesdays this Fall. Check your local listings, as they say. Maybe in the Fall I’ll start blogging about each episode. The wonderful/frustrating/truest aspect of blogging (or any writing for that matter) is this: thinking about doing it and actually getting it done are two very different things. I’m the undisputed champion of leaving myself the digital equivalent of sticky notes in the form of open browser tabs, half-completed link lists, Evernote notes and ill-conceived blog drafts, but my actual blogging output has diminished (charitably) of late. I’m not going to try and make up for that egregious silence all at once, but I am going to clear the cache in more ways than one. 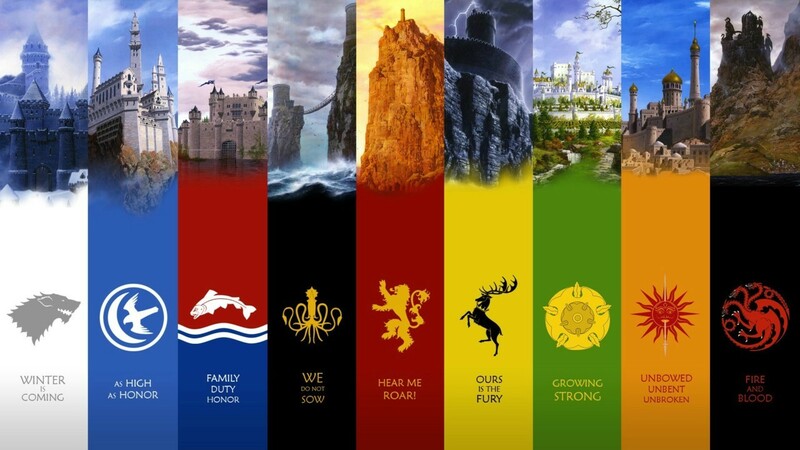 Here, then, is a post about Game of Thrones that is both timely – the second season of the HBO series wraps up this weekend – and useful. If you’re a fan of the source material or the TV show, you should find these links right up your alley, whether that’s the King’s Road or leading in to Flea Bottom. For those looking ahead to tonight’s episode (and perhaps beyond), here’s a handy character chart put together by Paste Magazine at the start of this season. Good for establishing branches of family trees and telling bearded faces apart, especially if you haven’t read the books. And if you’re the curious type, looking for updates on new characters for next season, it seems like that information is floating around now. For those who are happy right where they are, thank you very much, here’s The National’s version of “The Rains of Castamere” which played over the closing credits last week. Based on the lyrics found in the book to a song of the same name, it describes Tywin Lannister’s defeat of House Reyne of Castamere. If the show continues for several more seasons, this won’t be the only time that song is mentioned or sung. Until next season (or I finish another book)! It’s always amazing to see first-hand just how fast the internet moves. What started yesterday with Brett Ratner out as Oscars producer and continued this morning with Eddie Murphy out as Oscars host has culminated in the rapid ascension of a pop culture idea like no other: a campaign to have The Muppets host the 2012 Oscars. Don’t believe me? Just check out Facebook or Twitter and you’ll see just how serious things have gotten. Wiki articles have been proferred. The story has been storyfulled. And now an anxious nation waits. If viewers and fans fall all over themselves when Neil Patrick Harris hosts an awards show, just imagine how nuts things would get with a Muppet musical number to open the show. The Oscars are the ultimate variety show spectacle and The Muppets have that genre nailed. Start the music. Have Sweetums come on stage and physically threaten a celebrity or two. Problem solved. They bring the heckling sensibilities of Ricky Gervais without all the previous awards show baggage. What actor could seriously have a problem being razzed by a Muppet? Give them the balcony seats already! In the very unlikely event this is more than a pipe dream, The Academy should seriously hire Jason Segel to write/produce, have Steve Martin as a special guest star and watch as every Gen X TV set in America tunes in. This post is little more than a goof on my normal, regular (and oh-so-serious) Separated at Birth posts. 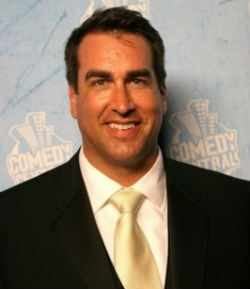 I honestly thought Judge Alex was Rob Riggle. Then again, I only watch TDS/SNL online so I didn’t know Rob was mostly just shilling beer now. YMMV, but I honestly thought they were one and the same. Hey, they’re both on the TV!